Scotland midfielder Christie Murray has become the fifth new signing for Bristol Academy's 2015 campaign. 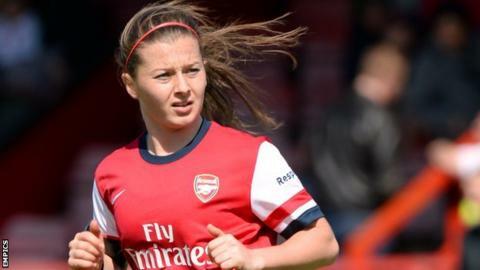 The 24-year-old, who has 29 caps for her country, spent last season with Women's Super League rivals Arsenal. "Christie is a great signing, very much in the mould of what we are trying to develop at the club," said Vixens manager Dave Edmondson. "She is technically excellent and has a real bite and aggression to her play which will add to our strong midfield." Bristol have already signed four Wales internationals for the forthcoming season, in Lauren Townsend, Hayley Ladd, Nadia Lawrence and Sharla Passariello.